AUCTION CLOSING DATE: Friday, Feb 10th, beginning at 11:37 am. Bidding closes on the first item at 11:37 am, then closes at the rate discussed in these Terms and Conditions of Sale. 10001. FURNITURE CHINA CABINET MADE IN SOLID WOOD FEATURES LOT OF DRAWERS AND BUILT IN LIGHT. IN EXCELLENT CONDITION/ VERY EXPENSIVE PIECE OF FURNITURE. SOLID WOOD WITH FINISH TOUCH AND FEELS. HAS MANY DRAWERS FOR STORING YOUR GUESS AND SPECIAL PLATES AND MUCH MORE. POLISHED AND HAVE MULTIPLE DIVISIONS.GREAT FOR YOUR LIVING ROOM AND OFFICES. 10002. FURNITURE VERY EXPENSIVE SET OF LIVING ROOM SOFA AND SEATS HANDMADE AND ARTISAN DESIGNED. COMPLETE SET UNIT FOR YOUR LIVING ROOM OR PATIO. 10003. FURNITURE VERY EXPENSIVE SET OF LIVING ROOM LEATHER SOFA AND LOVE SEAT. MADE OF QUALITY LEATHER. 10006. FURNITURE VERY NICE AND GREAT SHAPED DINNING TABLE WITH 4 CHAIRS/ COMPLETE SET UNIT , DINNING TABLE CAN BE STRETCHED ABOUT HALF MORE ITS SIZE. VERY SOLID WOOD. INCLUDES ALL FOUR CHAIRS. 10007. FURNITURE ROUND SHAPE DINNING TABLE IN VERY GOOD SHAPE, VERY NICE AND SOLID WOOD. 10008. FITNESS EQUIPMENT SCHWINN SIGNATURE EXERCISE EQUIPMENT FOR YOUR FITNESS. VERY NICE AND IN EXCELLENT WORKING CONDITION. 10009. FITNESS EQUIPMENT TOTAL GYM , EXERCISE EQUIPMENT RIGHT FOR YOUR FITNESS.VERY NICE AND IN EXCELLENT WORKING CONDITION. 10010. FITNESS EQUIPMENT BODY GEAR GYM , EXERCISE EQUIPMENT RIGHT FOR YOUR FITNESS. VERY NICE AND IN EXCELLENT WORKING CONDITION. 10011. FURNITURE GLIDER DUTAILER EXPENSIVE BRAND AND IN GOOD CONDITION. THIS IS A VERY NICE ROCKING CHAIR / BALANCOIRE. 10013. FURNITURE VERY NICE AND VERY COMFORTABLE PAPASAN CHAIR. 10014. FURNITURE VERY NICE UNIT OF LARGE DRESSER WITH MULTIPLE DRAWERS. 10015. FURNITURE VERY NICE UNIT OF LARGE DRESSER WITH MULTIPLE DRAWERS. 10019. FURNITURE VERY NICE OFFICE CHAIR. MADE WITH QUALITY BLACK CLOTH MATERIAL / HARD FEEL AND WITH VERY GOOD RECLINING ABILITY. 10020. FURNITURE VERY NICE OFFICE CHAIR. MADE WITH BLACK LEATHER AND WITH VERY GOOD RECLINING ABILITY. 10021. FURNITURE VERY NICE OFFICE CHAIR. MADE WITH BLACK LEATHER AND WITH VERY GOOD RECLINING ABILITY. 10022. FURNITURE VERY NICE OFFICE CHAIR. MADE WITH BLACK LEATHER AND WITH VERY GOOD RECLINING ABILITY. 10023. FURNITURE VERY NICE OFFICE CHAIR. MADE WITH QUALITY BLUE CLOTH MATERIAL / HARD FEEL AND WITH VERY GOOD RECLINING ABILITY. 10024. FURNITURE VERY NICE OFFCE BLACK LEATHER CHAIR. 10026. DECORATION UNIT VERY EXPENSIVE 50 POUND HEAVY GLAZED CERAMIC ELEPHANT DECORATION STAND. MADE WITH CHINEESE ACCENT AND GREATLY DESIGNED. VERY EXPENSIVE UNIT THAT COST ABOUT A $1000 WHEN OWNER BOUGHT AT OPEN HOUSE AUCTION. MUST SEE!!!!! 10028. DECORATION UNIT BEAUTIFUL FIGURINE BIRD/PEROQUET/PARROT MADE WITH GLAZED CERAMIC DESIGNED FOR YOUR HOUSE DECORATION. CAN ALSO BE USED FOR HOLDING FLOWERS. 10029. DECORATION UNIT BEAUTIFUL SOFA TABLE FLOWER VASE/ TABLE FLOWER HOLDER MADE WITH METAL AND FLOWERISH DESIGNED. GREAT FOR YOUR HOUSE DECORATION. 10034. DECORATION UNIT VERY NICE AND BEAUTIFULY MADE WITH METAL, YOUR LIBRARY IN FRAME. 10039. DECORATION UNIT DOUBLE VASE IN ONE PORCELAINE FLOWER AND SOFA TABLE VASE. UNIT IS A MUST SEE AS WELL, VERY BEAUTIFUL AS FLOWER HOLDER. 10040. DECORATION UNIT NIGHTSTAND TABLE LAMP MADE WITH GLAZED GLASS BOTTOM AND VERY NICE TOP. 10056. FURNITURE COMPUTER DESK, NICE UNIT. THE 4 LEGS CAN BE INCREASED OR DECREASE DEPENDING ON HOW YOU WANT THE TABLE TO GO UP OR DOWN. 10057. HOUSEHOLD CONAIR GARMENT STEAMER. TESTED IN EXCELLENT WORKING CONDITION. 10061. CAMCORDER CANON VC-20 SATICON, NO POWERSTATION TO TEST UNIT. 10062. CAMERA CANON EOS REBEL, FILM CAMERA, IN GOOD WORKING CONDITION HOWEVER MISSING THE LENS. 10063. TELEVISION 42″ VIZIO FLAT SCREEN TV, TESTED AND IN GOOD WORKING CONDITION. 10065. TELEVISION LG TV, SCREEN IS BROKEN. 10069. HAND DRYER HAND DRYER UNIT. UNIT POWERS ON AND BLOWS AIR HOWEVER IT DOES NOT HEAT UP THE AIR DURING OUR TESTING. 10073. PATIO TABLE SQUARE SHAPE PATIO TABLE. 10087. 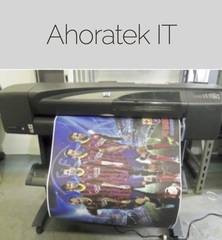 PRINTERS ONE LOT OF 2 PRINTERS , ALL UNITS POWER UP,MAY NEED USER TO BUY INK OR TONER. 10093. JANITORIAL/CLEANERS/CARPET CLEANING MACHINE KIRBY G4 CARPET CLEANING MACHINE HOOKED WITH ACCESSORIES. TESTED IN EXCELLENT WORKING CONDITION. 10130. FURNITURE ONE LOT OF METALLIC TABLE LEGS. 10205. DECORATION VERY NICE DECORATION GLASS BOWL.